Irish Sea and on the south by the River Liffey. It extended northwards across the River Boyne to the foothills of County Louth. The western boundary, which separated it from the Kingdom of Mide, was probably quite fluid and is not accurately known. Brega was annexed in the 6th century by the Uí Néill. By the middle of the 8th century the Síl nÁedo Sláine had split into two hostile branches: Southern Brega, or the Kingdom of Loch Gabhair, which was ruled by the Uí Chernaig; and Northern Brega, or the Kingdom of Cnogba/Knowth, which was ruled by the Uí Chonaing. Despite this, many kings of Brega ruled over both areas, and thus Brega as a whole, until the kingdom's extinction in the early years of the Norman invasion of Ireland. 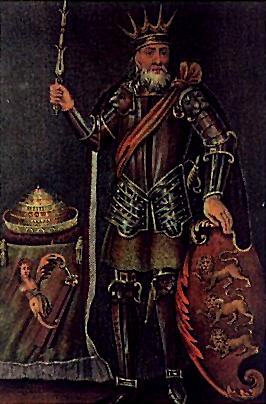 Persons in bold considered to be High Kings of Ireland. Kings of Cnogba/Knowth List incomplete: see Mac Shamhráin, 2004. The Uí Chonaing had earlier been settled around Tailtiu and Ráith Airthir in the valley of the Blackwater; that district was left to another branch of Síl nÁeda Sláne, Síl nDlúthaig upon the conquest of the Ciannachta Breg during the reign of Cináed mac Írgalaig. The title King of Ciannachta is first used by this dynasty in the Annals of Ulster in the year 742 and the use of the title King of Cnogba in 818; prior to this, it was a title used by the Ciannachta themselves. Earlier kings can be considered chiefs of the Uí Chonaing. Kings of Lagore/Deiscert Breg (South Brega) List incomplete: see Mac Shamhráin, 2004. The title King of Southern Brega does not appear in the Annals of Tigernach until 729 and in the Annals of Ulster until 751. 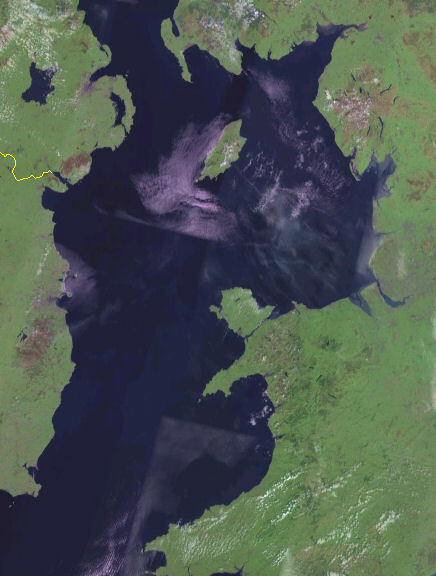 Earlier rulers can be considered rulers of the Uí Chernaig sept of Síl nÁedo Sláine.